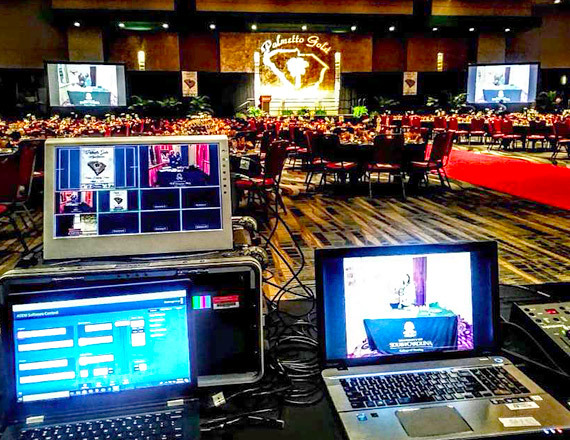 Event Staging | South Carolina AV, Inc.
to create the professional events and presentations you want. We are in the business of making you and your event a success. With imaginative turn-key solutions, our highly skilled staff will provide you with all the answers on staging design to data projection and equipment. We understand that you only have one shot to make a great presentation. We understand the problems you face and the pressure to deliver a successful event - with no surprises, delays and on budget. That's why our clients rely on us for solving issues before they become problems. The next time you plan a major or seminar, make us your staging solution. Peace of Mind - We take care of everything. Experience/Knowledge - We know what we are doing. Great Attitude - We love what we do. We are experts dealing with one day or multi-day corporate seminars. We'll be onsite to make sure all of your A/V needs are met and everything goes seamlessly. And we have the latest equipment and experienced technicians to handle concurrent sessions. We strive to take every meeting you have to the next level, every time. Our expert staff of professionals work with you to find exactly the right combination of appropriate equipment, lighting, and special effects for your specific group. Do Corporate Events have to be Boring? Make some noise at your next event. SCAV has years of experience helping our clients get the most out of their hired entertainment. We work directly with you and your talent to make sure your event is flawless. Whether it's a concert, sporting event or simply entertaining your clients or employees, we can provide the venue, with precisely the right mix to energize and inspire your crowd. We make your show come to life on stage. Please click below to fill out our simple quote form. The more details we have, the better chance we have to give you the best possible price. Vividly enhance your image with LED video displays. 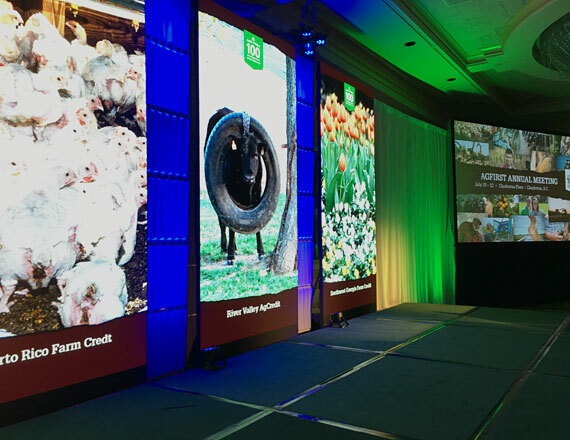 High impact LED displays provide a cutting edge, dynamic, bright content rich format for you to deliver your conference message. 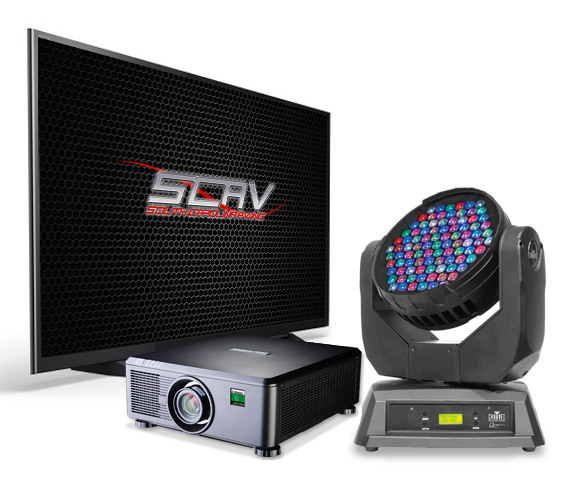 We offer an extensive rental inventory of new and well maintained cutting edge AV equipment. We back it up with unmatched customer service and technical support. You can pick it up or we'll deliver it directly to your meeting or event location. Right People, Equipment and Price. We have the right people to help you and an incredible array of the right equipment. With cutting edge equipment on site it's easy to work with one of our expert techs and stage the exact presentation you want.